This article is in response to Mr. David Dag's paper about the name "Asori" (A.K.A. "Asory", "Asuri", "Asury"), it also covers the claims of Mr. Johny Messo, Professor John Joseph, and Professor Sanjian, mentioned in that article. Before tackling this issue I would like to explain Aramean logic so the reader can understand their state of mind that generates their twisted logic! As I mentioned in my earlier posts, one of the problems with Arameans is that they start with a preset assumption; an assumption that only they believe in as being the absolute truth! And then they build their ideology based on that false (or partially true) assumption which is only true in their own imagination! That generates a flaw in their logic, as well as their conclusion, because they are not analyzing the issue subjectively, but rather they have decided the outcome upfront, and they are just trying to patch things to look convincing to their illiterate ignorant followers who lack the interest in research, thus they take their word for granted. And that is what the Arameans have been trying to do with the name Syrian and even Asori. The name Syria, and Syrian was used over a long period of time, covering different territories at different times, also covering different ethnic groups as I explained in my previous article. If someone doesn’t understand the difference between Greek-Syria and Roman-Syria, he is not qualified to discuss this topic, simply because he is not familiar with the history of the region and usage of the terms. Example: Any person familiar with Geography would know that there are two places called Georgia; one is a country in the Caucuses Mountains along the Black Sea, and the second is a State in the USA. 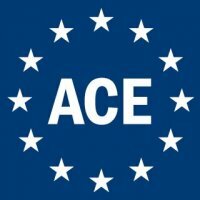 So if someone says I’m Georgian that is not enough information to know which of the two Georgias he comes from, and a follow up question is needed to clarify that. The same applies to Syria, since it is a muti-ethnic country, hence saying I’m Syrian (or Suryoyo/Suryaya in Syriac), is not enough to know the ethnicity of the person, or which Syria he is coming from. Common sense should be applied to narrow down the identity of that person, and that involves the knowledge of geography, and historical timeline. It is very confusing to figure out who is who in Syria, especially for a foreigner, and even the uneducated natives have that problem too. It is because Syria is on the crossroad between Europe, Asia, and Africa; hence its strategic location was a stop for every conqueror through the ages. This is why I will try to facilitate the understanding of what Syria and Asori means through pointing out the ins-&-outs of how to approach and tackle this issue through logical thinking, and following its historical timeline, pointing out the pitfalls that even famous scholars had fallen into, so they can be avoided. There are several theories about the origin of the name Syria, some logical, and some not, first we start with some facts. 1. The majority of scholars realize that the name “Syria” was the Hellenic derived form “Assyria”, and Seleucid Greek-Syria covered roughly the territories of the Assyrian Empire. 2. They also realize that just like the Assyrian Empire, Greek-Syria was made of multi-ethnic peoples. 3. Additionally realize that since the Neo-Assyrian Empire adopted the Aramaic language as of 700 BC and enforced it all over the empire, then different ethnic groups spoke the same Aramaic language, and in the process that diffused and killed the Aramean national and ethnic identity. "Although the term aramean originally aimed at an ethnic group it lost it's meaning and came to mean "a person who speaks aramaic""
4. In other words as of 700 BC speaking Aramaic wouldn’t prove that the person was Aramean. Hence a person living in Syria could be anyone of the following 20 groups of people: Assyrian, Aramean, Chaldean, Hurrian, Mitanni, Akkadian, Amorite, Hittite, Phoenician, Canaanite, Hebrew/Jews, Sumerian, Eblaite, Subartian, Nabatean, Philistine, Greek, Arab, Persian, or Roman, so the odds of that Aramaic speaker to be an Aramean is 1 in 20 or 5% to say the least. 1. Although Roman-Syria was the same size as the Levant, (the Levant is the land between the Mediterranean Sea and the Euphrates River. This territory is roughly the land of Aram, (excluding Mount Lebanon and the coastal region). Yet with the policy of population movement practiced by the Assyrian Empire, any of the above ethnic groups (mentioned above) could also have been living in Roman-Syria too. 2. Nevertheless, people intermarried and intermixed throughout the ages, and some even changed their religion and/or their language, but any ethnic group of the above would constitute the majority of the mix in the heartland of their nation, (i.e. in the Land of Assyria, [upper Mesopotamia] the probability of being Assyrian is higher. With the same token, in the Land of Aram, [Levant] the probability of being Aramean is higher. And similarly in the Land of Phoenicia [Mount Lebanon and its coastal region] the probability of being Phoenician is higher. The same applies to the rest). 1. They start by equating Syrian to Aramean as synonyms, (this is their “First Mistake”; since they already erased 20 ethnic groups from existence). 2. Then they conclude that Syrian = Aramean = Suryoyo/Suryaya, crossing over to a second language, (this is their “Second Mistake”; since Greek and Roman became popular in Syria back then. 3. Then they look for any mention of the word Syrian (i.e. Suryoyo/Suryaya in Syriac manuscripts), it is not necessary for one to say “I am Aramean” in that quote, instead all that concerns them is that someone is mentioned to have spoken Aramaic, (or Syriac at later dates), (this is their “Third Mistake”; since the speaker could have been anyone from the above 20 ethnic groups). 4. That is enough for them as a proof for his Aramean ethnicity! In other words if it was an India monk from India of a Hindu ethnicity, where a Syriac manuscript mentions him to have spoken Syria in conducting Church Liturgy, then that Indian person is considered Arameans to them. As you see three mistakes in definitions and we are still in the foundations of Aramean ideology. 5. Additionally, although the territory of Roman-Syria was roughly equal to the territory of the Levant, which overlapped the territory of the Land of Aram, yet to Arameans the borders of Roman-Syrian are like a rubber band, they stretch them as they like, move them backward and forward in time as they please, extrapolate and/or retro back in time, or move to the future labeling each and every Aramaic speaker (or later as Syriac speakers) to be a full bred Aramean with unaltered DNA from the days of Aram the son of Sam (the grandson of Noah). However reality is different, because according to historical facts and common sense here is a summary of Terms and Territories definitions, (a detailed Territorial Terms, and Borderlines, is coming soon). • Greater Syria = Greek-Syria = Roughly the Assyrian Empire. • Little Syria = Roman-Syria = Levant = Roughly the Land of Aram. • Aramaic became the Lingua Franca of Syria since 700 BC, hence many nations spoke it. • At least the following 20 different nations lived in different regions of Greek-Syria: Assyrian, Aramean, Chaldean, Hurrian, Mitanni, Akkadian, Amorite, Hittite, Phoenician, Canaanite, Hebrew/Jews, Sumerian, Eblaite, Subartian, Nabatean, Philistine, Greek, Arab, Persian, or Roman. • When Aramaic (Syriac) became the Lingua Franca of the Ancient World, the above list got larger adding 8 more nations to the above list: Indians, Mongolians, Chinese, Turkmens, Armenians, Afghanis, Azerbaijanis, and Egyptians. • There is a difference between Aramaic (and later Syriac) speakers, and ethnic Arameans, because as of 700 BC, not every Aramaic (or later Syriac) speaker was ethnically Aramean. The Arameans don’t realize that a person speaking Aramaic could be any of the above list of 20 nations in Syria, plus 8 nations outside Syria. And in order to claim that a person is ethnically Aramean. The burden of prove is on the Arameans, and claiming that someone spoke Aramaic is a lame proof! Because 28 ethnicities spoke Aramaic, so to claim that a person is an Aramean they have to prove that he does not belong to any of the other 27 ethnicities above. (i.e. proving that a person was Aramean ethnically after 700 BC would be much more difficult that proving that a person was Aramean prior to 700 BC, because prior to 700 BC only Arameans spoke Aramaic). It is very important to understand this, because the so called Arameans are taking this very lightly, since they assume that any Syriac speaker is automatically an Aramean ethnically. To claim that every Aramaic speaker is an Aramean, would be like claiming that every English speaker living in the USA to be an Anglo-Saxon tracing his roots to the British Isles, when it is obvious that the USA is a muti-ethnic nation, (just like the Assyrian Empire before it). • Are there Anglo-Saxons in the USA? The answer is YES. • Are all Americans Anglo-Saxons? The answer is NO. • Are there Arameans in Syria? The answer is YES. • Are all Syrians/Syriacs Arameans? The answer is NO. Whenever they hear the term Syriac, Syrian, or Aramaic (note Aramaic, not Aramean), they think that it is about them (i.e. the Arameans), when in fact it could be about others! Or a 1/20 [or 1/28 later] chance to be about them, (i.e. a 5% [or 3.5% later] probability of being ethnically Aramean). Sure their probability increases if they are in the Land of Aram or the Levant west of the Euphrates River, but region we are talking about is in Upper Mesopotamia in the Land of Ashur, hence the chance of being Aramean drops. With this as a backdrop, let me get into the subject of the term Asori used by Armenians, which three so called Arameans (namely: David dag, Johny Messo, & Professor John Joseph) had written about, ironically none of the three understand a word in Armenian, and all of a sudden they claim to be experts in that field! Here is an Example: The opening paragraph by Mr. David Dag, discussing the name “Asori”. QUOTE: Sometimes you can hear and read Assyrianists (Assyrian Nationalists) using the argument that the Indo-European Armenians have always called the Arameans (Syriacs) people by the name “Asori” in the Armenian language. UNQUOTE. QUOTE: They draw that conclusion based simply on their personal interpretation of the Armenian exonym nomenclature Asori from the Aramean (Syriac) people (without any knowledge in the Armenian language itself). UNQUOTE. The funny thing is that David Dag doesn’t speak a word in Armenian! And he wants to teach us what Armenians are saying, and in what context they are using certain names! Additionally, the term Syriac means Assyrian too, go check the writings of Mar Mikhael Rabo who was a professional historian from the Syriac Orthodox Church. Well, I speak Armenian, and the above quote of David applies to him, Johny Messo and Professor John Joseph, and not to me, since Assyrians from Urfa spoke Armenian in addition to Turkish. So my question is: why is David giving himself the right to discuss a topic without having knowledge in the Armenian language yourself? The title of Daivd Dag’s article was “The Armenian term Asori, and its Misinterpretation”, yet he spent 5 pages discussing what Georgians and Russians called Assyrians? The topic wasn’t what Indo-Europeans called Assyrians! If this shows anything, it shows that he is unfocused, and is diverging from the main topic! So please David, STICK to the topic, and discuss Armenians! Oh I forgot you don’t speak Armenian!. As to using “misinterpretation”, well it is funny coming from someone who doesn’t even speak Armenian! And that includes Johnny Meso and Professor John Joseph who none of them speak a word in Armenian! It is like a blind man teaching colors! As to quoting an Armenian Professor Sanjian’s letter, well they are forgetting that Armenian has two dialects, Eastern and Western, (somehow similar to Eastern and western dialects of Syriac), their Eastern dialect is spoken in the Republic of Armenia, and their western dialect was spoken in Anatolia, by Armenians and some Assyrians. In other words the dialect of Armenian that Suryoye interacted with was their western dialect. And just like Syriac, there are expressions and terminologies used by easterners that are not used by westerners, and vica versa. Therefore what counts about the term “Asori” is the context in which the Armenian-Speaking-Assyrians used it, and interacted with West-Armenians, specifically in towns like Edessa, Amed (Diyarbakir), Severak, Kharput, Adyaman, Malatya, Adyaman, Adana. To understand the following please take a look at the map of Turkey and locate the above cities I mentioned, and notice that none of them are located inside Roman-Syria. Also remember that David Dag, Johny Messo, and John Joseph, none of them have any knowledge about the Armenian language, and they are solely relying on a letter from an Armenian professor Sanjian written in response to a request by Professor John Joseph. Fact #1: The first time Assyrians and Armenians interacted was between the Assyrian Empire and the kingdom of Urartu. Later Armenians interacted with Assyrians was AFTER (note “after”) the collapse of the Seleucid Greek-Syria Kingdom, where due to the power vacuum created; the Assyrian kingdom of Osroen was created, and the Armenians expanded slightly to the west, putting both Assyrians and Armenian kingdoms adjacent to each other. In other words The Assyrians in upper Mesopotamia were earlier under Seleucid Greek-Syria, and so were the Arameans of the Levant. This was immediately followed by a Roman invasion during the year 64 BC, where the Romans took over the Levant and named it as the Roman-Syria Province. In other words Assyrians and Armenians interacted when Syria was a Roman province located in the Levant (i.e. when Roman-Syria was the Levant, and almost the same as the Land of Aram), and that is where Professor Sanjian was wrong! Because if Armenians meant Syria when they said Asorik, and they meant Arameans when they said Asori, then that name would have applied to Roman-Syria in the Levant (that was the only Syria during the Roman times). Additionally none of the cities listed above (of Armenians-Speaking-Assyrians) fell inside the territories of Roman-Syria, but rather inside Asoristan (or in geographical terms in Anatolia, way outside Syria). So how can Asorik apply to Syria, when those cities were not part of that Syria, but rather inside Asoristan, and that Asori was used to mean Assyrians living outside Roman-Syria in Asoristan! In other words Assyrians were not called Asoristantsi, but rather Asori. And this can also be confirmed by the Persians, because when you compare the terminology used by the Sassanids and Parthians for the same region of Mesopotamia you will notice that it was Asoristan, where the people were called Asori (i.e. Assyrians), and their land was called Asoristan (or Asori-Stan = Land of Assyrians). Fact #2: Let’s assume (just for the sake of argument) that the name Asorik was used by Armenians BEFORE 64 BC, to mean Syria during the Seleucid Greek-Syria kingdom, then again Professor Sanjian is wrong one more time! Because back then Greek-Syria was much larger, it included 20 different ethnic peoples, and it also engulfed Asuristan (Mesopotamia which is located East of the Euphrates River), in other words if Asorik was applied ti Greek-Syria, then it would have been also applied to Asoristan, because Asoristan was inside Greek-Syria, and Asori would have applied to 20 different ethnic groups of people not just Arameans. So what does David think that when Asori is mentioned by Armenians, they mean Arameans? Wake up David, they are not talking about Arameans, they are talking about Assyrians! Fact #3: If Asori really meant Aramean, as David Dag and Johny Messo are claiming, shouldn’t they be proud calling themselves Asori? Hey guys, if you truly believe that Asori = Syriac = Suryoyo = Aramean, then by all means, call yourself ASORI and prove us wrong! Fact #4: In other words Professor Richard Nelson Frye (mentioned in David’s article) is correct when he said that Assyrian and Asori are synonyms, and the language name Syriac, Suryoyo, and Asoriner are synonyms too, since Syriac was developed by Assyrians in upper Mesopotamia, it was derived from Aramaic that was adopted by Assyrians as the official language of their Empire. As of 700 BC the Aramean identity was dissolved and absorbed within the Assyrian Empire, after which Aramaic survived as a language, but ethnic Aramean identity disappeared. Fact #5: Horatio Southgate, visited the Middle East in 1834, (also mentioned by David) thinking that the members of the Syriac Orthodox church were Syrians, but when he interacted with them, he was surprised to know that they called themselves Asori (singular Assyrian), Asoriner (plural Assyrians). David Dag claims that this was invalid because among Arabic speakers (such as Mardin) they use Suryani not Asori, and he also assumes that Asori was a name given to them by Armenians, not realizing that those Assyrian Jacobites of Kharput called themselves Asori, they spoke Armenian as their everyday language at home, and knew exactly what they were talking about, and the proof is very simple: Ashur Yusuf a very famous Syriac Orthodox Kharputli lived during that period, and he was a professor at Antab university, he published a multi-lingual magazine called “Murshid Ashuri” in Turkish, Arabic, Armenian, and Syriac. Notice the title is very clear “Ashur” in Turkish and Arabic, and Asori in Armenian, and his name was “Ashur”. He is considered the father of modern Assyrian Nationalism, and was the first Assyrian (Syriac Orthodox) executed during Seyfo-1915 for his Assyrian nationalistic publications. 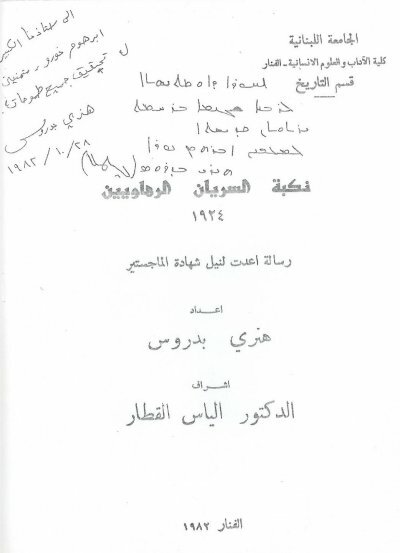 Malfono Naoum Fayeq was his student, and he has piles of poems in Ottoman Turkish (i.e. using Osmanli Arabic script) talking about the glory of Assyria, where the term Asuri was extensively used in Turkish, plus the poems of Malfono Yusuf Namek of Urfa, again with Turkish poetry using the term Asur, and Asuriler, all in Ottoman script. 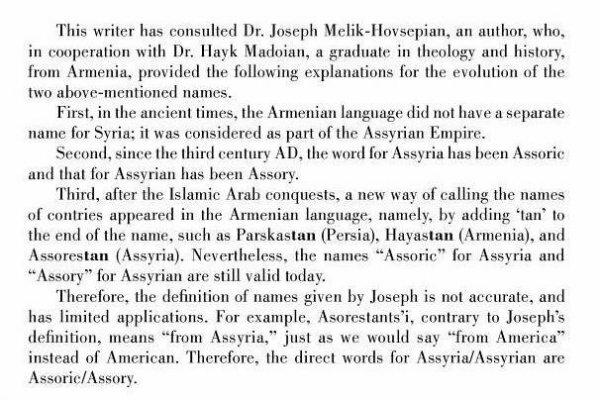 So definitely those Assyrian Jacobites who were multi-lingual speaking Turkish, Armenian, Arabic, and Syriac, and were the most educated of the Syriac Orthodox community, they knew exactly what they wrote about when they used Asur, Asuri, and Asuriler, or Asori and Asoriner, etc. and the context in which they spoke meant Assyrian, Assyrians, Assyria. Only illiterate people can’t understand that. 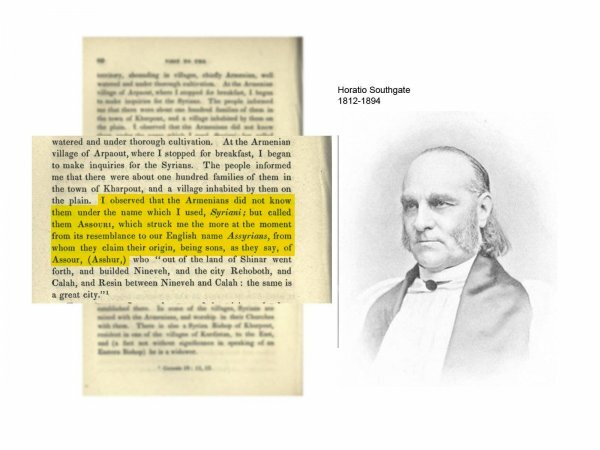 Note: The quote of Horatio Southgate about the Syriac Orthodox Assyrians reads: "I observed that the Armenians did not know them under the name which I used, Syriani; but called them Assouri, which struck me the more at the moment from its resemblance to our English name Assyrians, from whom they claim their origin, being sons, as they say, of Assour, (Asshur,)"
QUOTE: But I have already proven, this Armenian nomenclature is confusing for those who don’t know the difference between Asori (Syrian) and Asoristantsi (Assyrian). Notice that the Armenians said Asori not Asoristantsi. In other words it doesn’t prove that we are Assyrians, but rather a misinterpretation and a misunderstanding UNQUOTE. And you figured all that because you don’t speak a word in Armenian? you are writing a paper about the term “Asori” used by Armenians and Armenian speaking Assyrians, who are well versed in Armenian, and know exactly the context in which they speak and even read and write. You want to teach them Armenian? you are not only insulting the intelligence of an Armenian speaker, but you also never used the term “Asori” in your life, you don’t speak a word of Armenian, and all of a sudden you are trying to teach Armenian speakers how to understand Armenian? Let me see you presenting an oral speech in Armenian to prove your point! By the way, the Ottomans also used the name “Gavur” when they were talking about your people, would you conclude that “Gavur” and “Aramean” are synonyms? No one is talking about Arameans, but rather Assyrians who lived in Upper Mesopotamia are talking about themselves, they belonging to the Syriac Orthodox Church, they are Jacobites, (not Nestorians, and they don’t belong to the Church of the East). Those are Suryoye-Othuroye from Urfa, Diyarbakir, Kharput, Malatia, Adyaman, Antab, Severak, they spoke Armenian prior to 1915 (and some still speak it till today), and they call themselves “Asori” in the language they speak/spoke (i.e. the Armenians called them Asori because they (those Suryoye) called themselves Asori, and not the other way around). Upper Mesopotamia is their homeland, it was called “Matu-Ashur-Ki”, which means “Land of Assyrians”, it was translates to “Asoristan” in Indo-European languages and literarily means “Land of Assyrians” too. They were the neighbors of Armenians, so if there is anyone who knows who they are it is their neighbors. The Arameans were on the other side of the Euphrates River, and not in direct contact with Armenians, so the Armenains wouldn’t have heard of them or maybe confused the Arameans of west of the Euphrates in the Levant with the Assyrians, since they look similar, and talk similar languages, just like the Greeks did labeled all as Syrians, after all the Assyrian Empire, which covered the land of Aram too, and in that case, then the key to know who is who, is to know which region we are talking about! Upper Mesopotamia is Assyrias, Lower Mesopotamia is Babylonian, Levant is Aramean, Phoenician, Jewish, or Nabatean. And the region that we are talking about in Upper Mesopotamia the Land of Ashur, hence when the term Asori is used there it means Assyrian, just like when the term Turk is used in Turkmenistan means Turk. By the way, when you are in the Land of Greeks (Hellas), you would find Greeks, and when you are in the Land of Assyrians (Asoristan) you would find Assyrians. Now let me address this issue from an angle that you wouldn’t comprehend as a person who doesn’t speak Armenian, but Suryoye-Assyrians from Urfa, Severak, Diyrabakir, Malatia, Adyaman, Antab, Kharput (who spoke Armenian and Turkish prior to 1915) would comprehend. 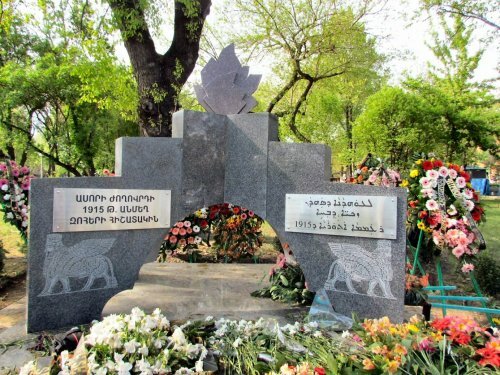 "Tser Asori Takuhin Samiramisa, sirets mer Ara Keghtsik Hay Takavora". Meaning: Your Assyrian Queen Semiramis (Shamiram), loved our Armenian King Ara the beautiful. Furthermore as the discussion progresses, the Suryoyo-Assyrian person would respond referring to Samiramis/Shamiram as “Mer Asori Takuhin” (i.e. Our Assyrian Queen). Notice the context in which that statement is said: Armenians would say "Tser Asori Takuhi" (meaning: Your Assyrian Queen). And Assyrians would say “Mer Asori Takuhin” (meaning: Our Assyrian Queen). So David, is Samiramis your Assyrian Queen? If she isn’t, then stop thinking that they are talking about Arameans! Now if the Armenians were addressing an Aramean, or an Arab, or a Kurd, they wouldn't use the term "Your Queen", because they know that Samiramis wasn't their queen. They would only use “Your Queen” when addressing Assyrians. And only Assyrians would address Samiramis as “Our Queen”, because Samiramis is our Assyrian Queen Shamiram. It is when they associate the "Assyrian Queen", and address the “Suryoye” (Syriacs) of Upper Mesopotamia, as being (Your Queen) that implies that “Asori” (Assyrian) and “Suryoyo” are exactly the same or synonyms. Hence the context in which the term Asori is used clearly indicates that the dialogue is being conducted between Assyrians and Armenians, (and not Arameans and Armenians). After all the Armenians were the neighbors of Assyrians since the dawn of history, and upper Mesopotamia borders Armenia, while Aram was not in contact with Armenian, The Arameans were on the other side of Assyria, and beyond the Euphrates river, a region that the Armenians didn't reach till the time of the Crusaders 9in the Middle Ages). So can you supply us with Armenian manuscripts referring to the Levant as Asorik, and its people as Asori? Can you get us an Armenian manuscript stating that when an Armenian went for pilgrimage to Jerusalem he would go to Asorik? If that is the case, then Jesus was born in the land of Asorik (the Roman Province of Syria), hence according to you, then Jesus was an Asori too! The same name issue arises with Herodotus where he labels King Ninos who built Nineveh as Syrian. So obviously the context in which Strabo was speaking Syria means Assyria, since Ninos was an Assyrian king, and Nineveh was the capital of Assyria. But somehow the Arameans define Syria = Aram, hence Ninos becomes their Aramean king and Nineveh becomes the capital of Aram! That summarizes Aramean logic! If that doesn’t imply Aramean stupidity, I don’t know what will! Additionally the Assyrian identity can be linked to the term used by Suryoye in upper Mesopotamia using their own Syriac language, and prior to them to transitioning to the Armenian language (after the Crusaders invasion). 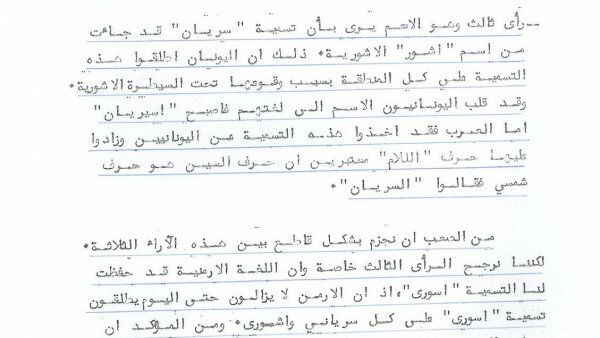 This can be seen in the writing of a book in Syriac titled “Wars and Catastrophies in Edessa and Amed (i.e. Urfa and Diyarbakir). Narrated by an eye witness monk named Yeshu’ from Edessa, and recorded by the monk Sergius of Edessa too. It talks about the conflicts between the Romans and Persians armies in which Edessa and Amed was the battle ground and suffered a lot. The interesting thing is that they mention the Assyrian king Xenon of Edessa, specifically spelling it out as Asoria ܐܣܘܪܝܐ written in Syriac (which corresponds to “Assyria” in English, and أسورايا in Arabic), the document also mentions that his officers were Assyrian too. Translated by Mr. Burhan Hanna Elia President of the Syriac Orthodox School in Aleppo, (the original Syriac manuscript is stored in the Vatican). 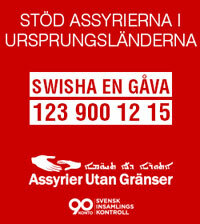 Therefore we can conclude that the Asori name was derived from the Syriac term ܐܣܘܪܝܐ Asurya and that Suryoye-Assyrians who lived in Edessa and Amed (Urfa and Diyarbakir) identified themselves with their own name in their own language which was not imported from the Armenians. In other words, Asori was a name that Assyrian-Suryoye coined and called themselves, and later the Armenians copied it from them, and when those Assyrian–Suryoye started speaking Armenian after the Crusaders invasion, they kept that name “Asori” all the way to the present time. By the way in recent time the Armenian Embassy in Stockholm Sweden was asked about the term Asori and Asorestantsi and they replied that the Armenian word Asorestantsi refers to the ancient Assyrian Empire (meaning a person from Assyria). Asori again on ethnicity, ie the Assyrians. Both residents of the ancient empire and today's Assyrians called unequivocally Asori, you can read more about it in this article. In conclusion, There is some misconception by the so called Arameans about the term Asori, where they think that Asori means Arameans, and they claim that the Bible uses that term to describe the Aramean such as Naaman the Aramean where he is called Asori. The reason for that usage is that the first contact between Armenians and the Middle Eastern people was with Assyrians, and Armenian history books have several stories or legends talking about Assyrians such as the Assyrian Queen Shamiram (Samiramis) who fell in love with the Armenian King Ara the beautiful, she is known as Asori Takuhi (Assyrian Queen), and the story of the Assyrian King Belus and the Armenian King Ara, Belus is referred to as the Asori Tahavor (Assyrian King). Now where do the Arameans fit in? What happened was that in early history the Armenians never had a direct contact with the Arameans, so to the Armenians all the Middle East was an Assyrian country, so they lumped up the Arameans under Assyrians and called them Asori thinking that they were Assyrians. The Armenians never had contact with the Aramean principalities, and after the Assyrians conquered the Arameans they were assimilated so to the Armenians they were Assyrians (i.e. Asori), and that is why they labeled Naaman as Asori, they were not naming Naaman by a term used specifically for Arameans, but rather by a name that was used specifically for Assyrians. In other words, the Armenians unknowingly stripped the Arameans from their ethnic identity and labeled them as Assyrians, and you can’t blame them for that, because the Armenians never interacted with Arameans when the Arameans were independent. And what further confused the issue, was that during the neo-Assyrian Empire period, the Assyrians adopted the Aramaic language as an official language due to its simplicity, so both Assyrians and Arameans spoke the same language known as Imperial Aramaic. So there you have it, two peoples (Assyrians and Arameans), who share similar skin tone and features, and speak the same language, and Assyria is the country bordering Urartu (Armenia), so it was natural for Armenians to name the peoples of the Assyrian Empire as Asori, similar to the way the Greeks called them Syrian. The problem with them is that they want to feel that Armenians were talking about them when they mention the name Asori. In the old days only Armenians lived in Armenia, so Hayastantsi meant exclusively Armenian. However now in the 21st century there are other ethnic groups that reside in Armenia and carry Armenian passports, so technically they are Hayastantsi (as citizens of Armenia) but not ethnically Armenians. Example: An Assyrian who is an Armenian citizen is called Hayastantsi-Asori (similar to saying Assyrian-American in the USA). An Armenian from Syria would be known as Suryagan-Hay (Syrian-Armenian), and not Asori-Hay because that would mean Assyrian-Armenian. Hence Asori does not mean Syrian in Armenian. An Assyrian would not be named Hay, even if he carries the citizenship of Armenia. Hence an Assyrian from Assyria (upper Mesopotamia) would be known as Asoristantsi, (when there is an independent Assyrian state), but since Assyrians have no country of their own, they are known by their ethnic name as Asori. An Armenian would not be named Asori even if he carries the citizenship of Assyria. but An Armenian from Assyria would be known as Asoristantsi-Hay. Notice the root of the name, in the case of Armenians it is Hay = Armenian, then adding Stan = Land, became Haya-Stan = Land of Armenians, then adding the “tsi” to indicate a person from that land, making it Hayastantsi. In the case of Assyrians, it is Asori = Assyrian, then adding Stan (Land), becomes Asori-Stan = Land of Assyrians, then adding the “tsi” to indicate a person from that land, making it Asoristantsi. If Asori means Aramean, then Asori-Stan would mean the Land of Aram, and not the Land of Assyria! The letters: Sh, S, Th, and T, are all related because their sounds are close, and in language translations, or different dialects, they are usually interchanged. And as you see in Armenian it is no different! Assyrians are proud of their ethnic name Asori, and if the so called Arameans are so eager to call themselves Asori too, then no problem, let's have Asori as our unifying name! If they truly believe in that let's see them change the "World Council of Arameans" to "World Council of Asorians". Finally, watch this documentary and this which is produced by Armenians about Assyrians. The video is in Armenian, and they are calling the ancient Assyrians as "Asori" ("Asoriner" in plural), and refering by that name to modern Assyrians: Syriac Orthodox (Jacobites, or Ma3erboye), Church of the East (Nestorians, or Madenhoye). Ironically we are having people who don't speak a word in Armenian who want to teach Armenians about the Armenian language! Wouldn't that be like having an Armenian trying to teach the Syriac language to a Syriac speaker! Note: The images from Mor Mikhael Rabo's history book. Note how Othur/Atur is written as Osur/Asur, which brings us to "Asori"
Yet he claims to be the expert in explaining the term "Asori" used by Armenians.